Fundraising for Unitas Youth Zone is a great way to have fun and raise vital funds to support young people in the town. From charity bike rides to ‘Ice Bucket Challenges’ – everyone can fundraise! 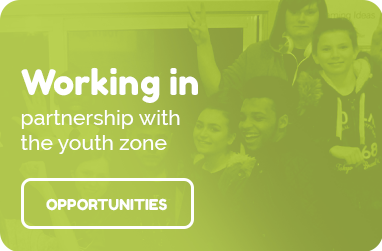 Your funds are vital in the work Unitas Youth Zone will do with young people. From £1 to £1000, everything helps young people reach their full potential. Thank you for fundraising for Unitas and helping to make a lasting difference and inspire 1000’s of young people. We need to know a little bit more about what you have planned and are here to help you every step of the way.